Thala Beach…where the forest meets the sea.. 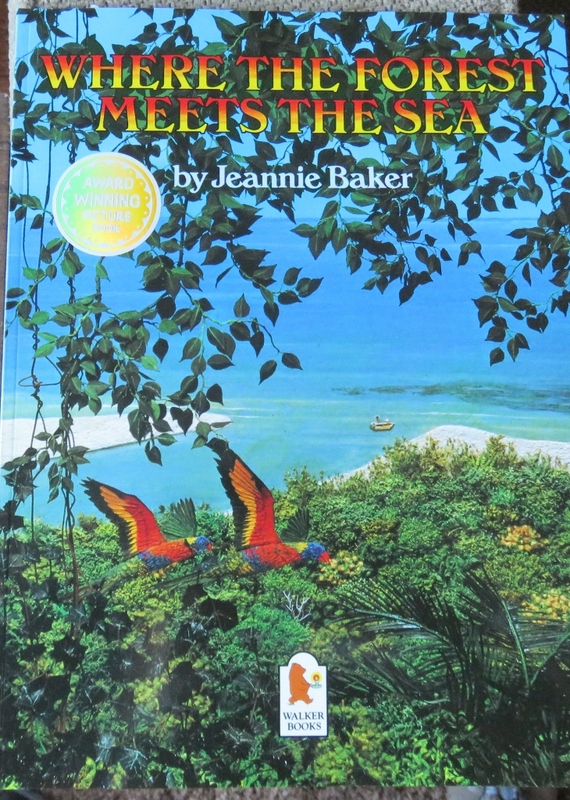 I have a wonderful Australian’s children’s book called ”Where the Forest Meets the Sea” and while I was teaching I kept many a restless class captive with this book. I wish I had all those students (and my daughters) here now to see the real thing….a lodge perched on a mountain, literally where the forest meets the sea. 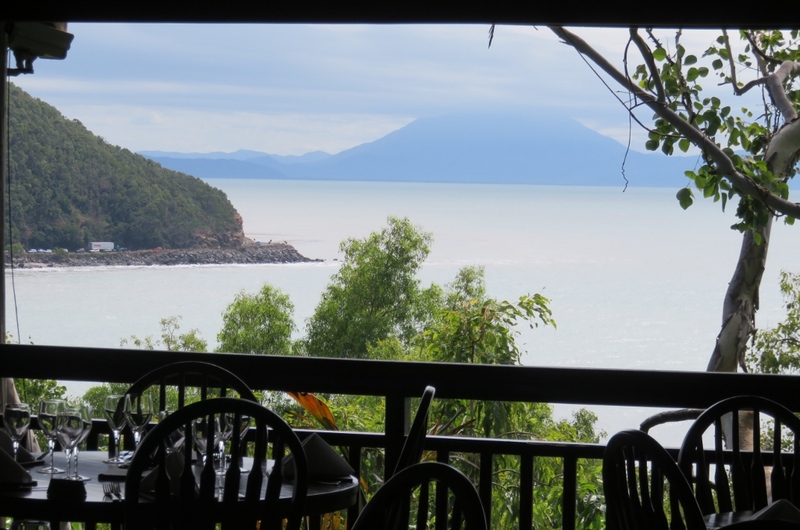 We are in Far North Queensland, escaping the winter in Canberra, and we have stopped off for coffee at a wonderful place called Thala Beach Lodge. 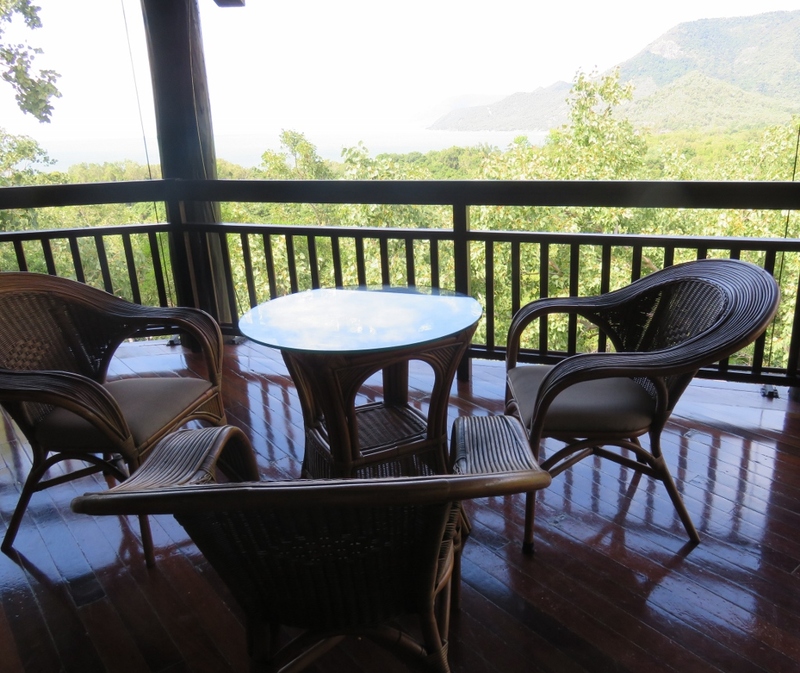 A sweeping staircase takes us up to the circular guest lounge perched high amongst the trees, with breathtaking views of the Coral Sea. The whole lodge is made from local timbers, and it is just like walking into a grand tree house. My apologies, I have taken a photo of the seating rather than the beautiful Coral Sea.. The building is designed to bring the breeze from the sea and the scent from the trees. 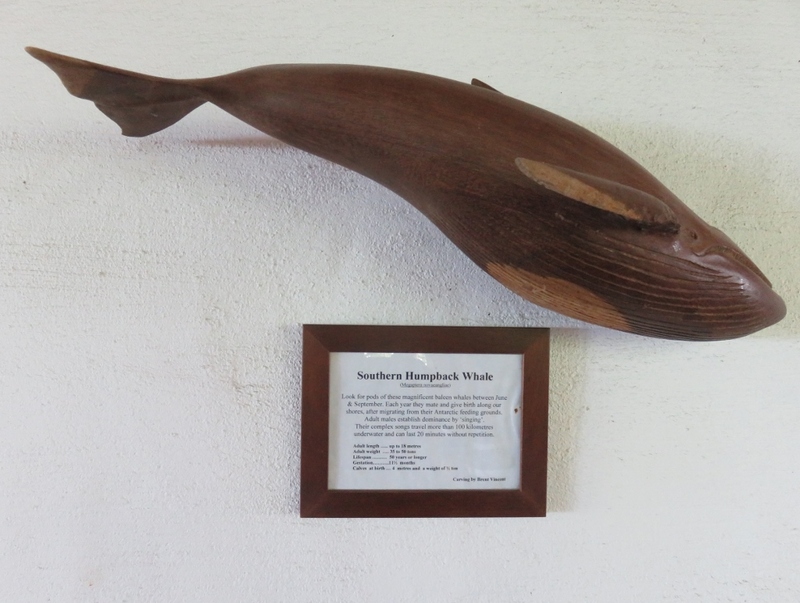 There is a long cool veranda and thoughtful local flower arrangements and pieces of interest for even the casual visitor here at Thala..
Each year, between June and September Southern Humpback whales are seen passing by this part of the coast. They mate and give birth along the shores of Queensland, after migrating from their Antarctic feeding grounds. Adult males establish dominance by ”singing” their complex songs, which can travel more than 100 kilometres underwater and can last 20 mins without repetition. This photo, in the local newspaper, shows the whales along the coast near here. How I envy locals being able to witness such a sight! 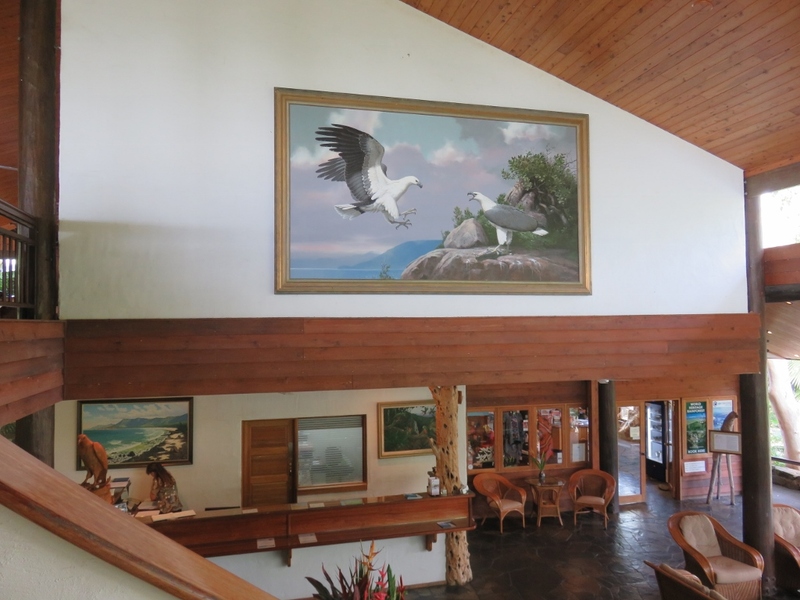 Near the lounge is an eye-catching painting, by the Australian artist Ray Crooke. 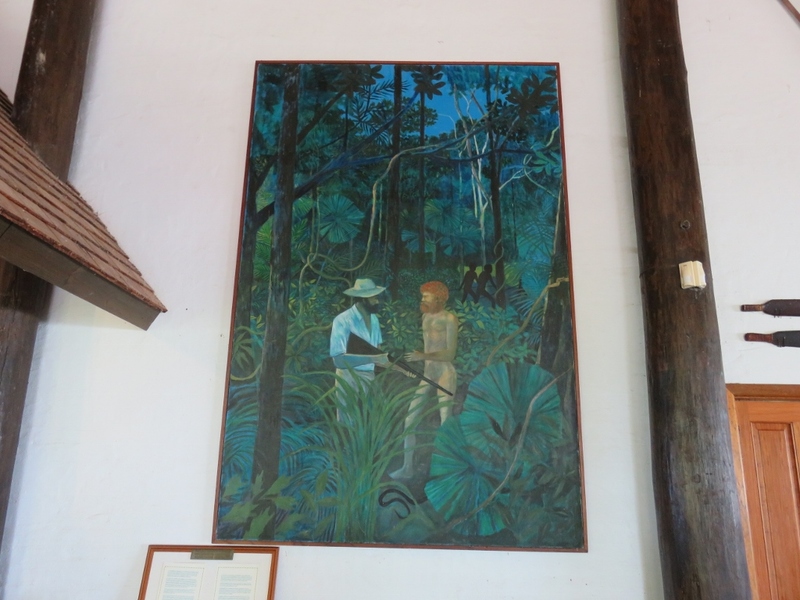 He is best known for his Gauguin-inspired paintings of islander life in Fiji and the Torres strait. Archibald prize winner, Ray Crooke lived nearby, in Palm Cove, until his death last year. He was inspired by the people and history of Far North Queensland and the islands of Torres Strait and the Pacific. This striking painting told an interesting slice of history of this area. In 1876 gold was discovered inland from Kewarra Beach. The government paid for a track to be cut through the forest to reach the gold, and in 1877, some bushmen were sent out to cut the track. He and four other companions had lived in the area for 14 years with local Aboriginal families. The mystery of where they came from was never solved. One clue to their identity was that they carried American made axes and there were the ruins of a ship wreck off White Cliffs, where Thala beach sits today. 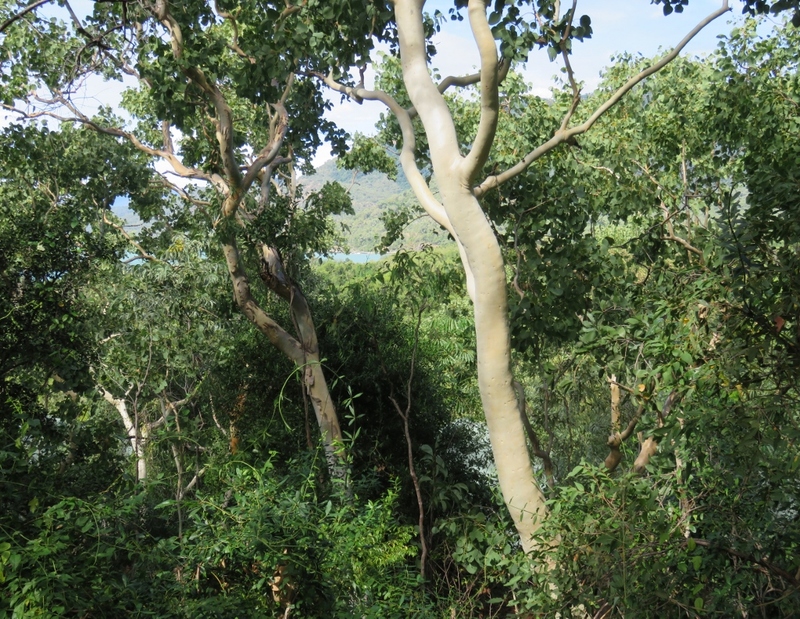 The Lodge today is surrounded by natural stands of Eucalyptus forest/ dry woodland forest. 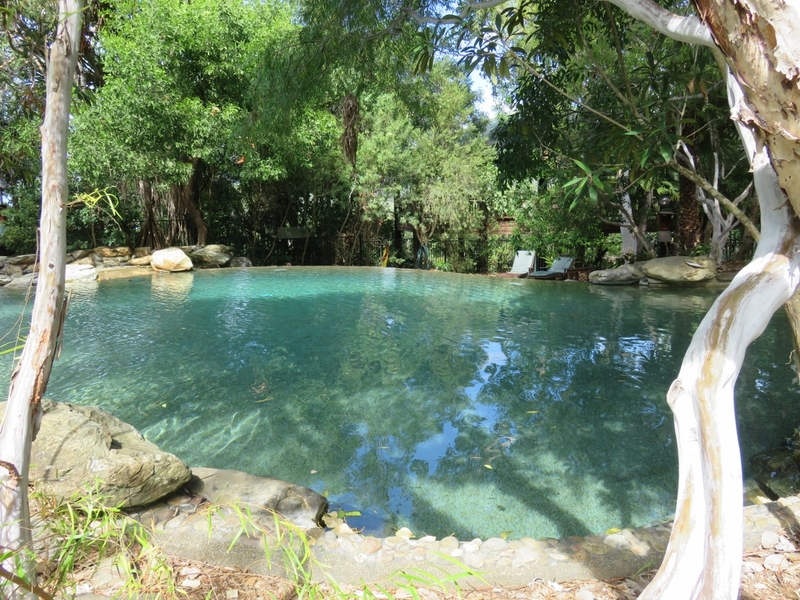 Guests staying in the Lodge can swim in this peaceful pool, or go down to the beach below. It is a credit to the owner Rob Prettejohn that he was inspired to build a place for people, yet treading lightly on the surrounding habitat, the forest and the beach front. 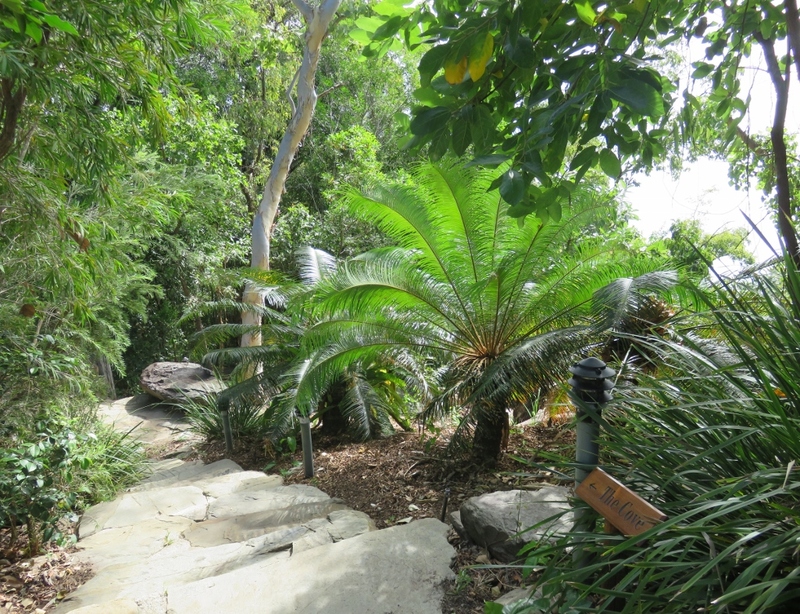 The Lodge specialises in bird watching, nature walks and star gazing. Imagine lunch here, with kookaburras in the trees, and Rainbow Lorikeets flying (occasionally) through the dining room. We are so tempted to stay here and have lunch looking out on that beautiful view…another day we will …and that is a promise.. This is a flashback photo of Paul, myself and my cousin Theresa during our recent holiday in nearby Palm Cove. Theresa, has lived in Far North Queensland for many years, and like me, she is a teacher. We were both born in Africa and have shared many adventures in both Africa and Australia. 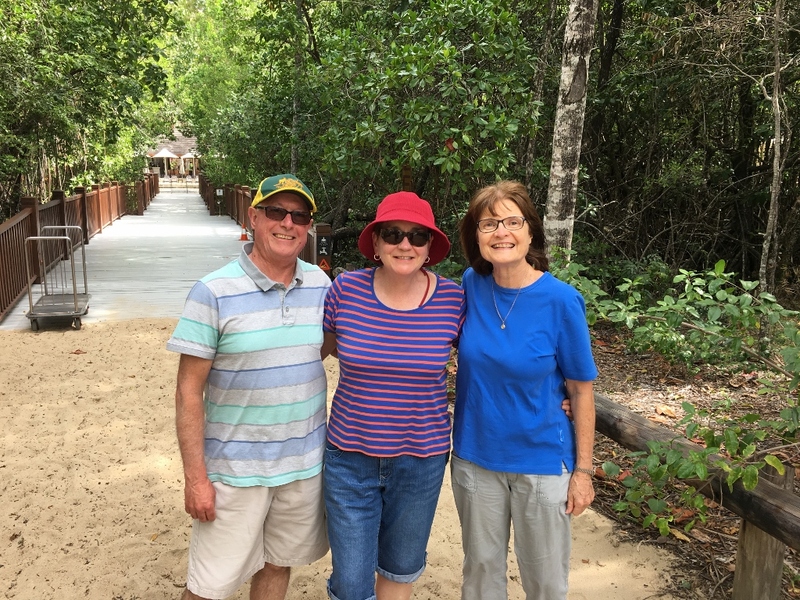 She has introduced us to many new places in Queensland (like Thala Beach Lodge) and if she wasn’t a teacher, I would highly recommend her as a wonderful tour guide…. 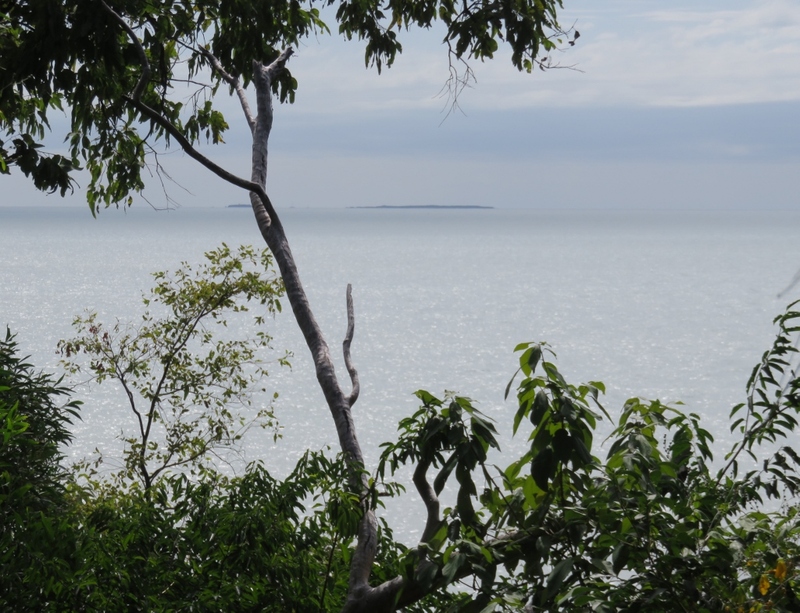 This entry was posted in Queensland's Green Spaces and tagged Coral sea, dry woodland forest, Eucalyptus forest, Far North Queensland Thala Beach Lodge, ferns Queensland, Palm Cove, Ray Crooke, Southern Humpback Whales, Where The Forest Meets The Sea by Jeannie Baker, White-bellied Sea Eagles on July 29, 2017 by germac4. Oh what an accolade, Geraldine! Thank you. Job made easy by a couple who see “everything” and enjoy “everything” to the last detail. I love sharing my space and wake up most days thinking how lucky I am to live here. 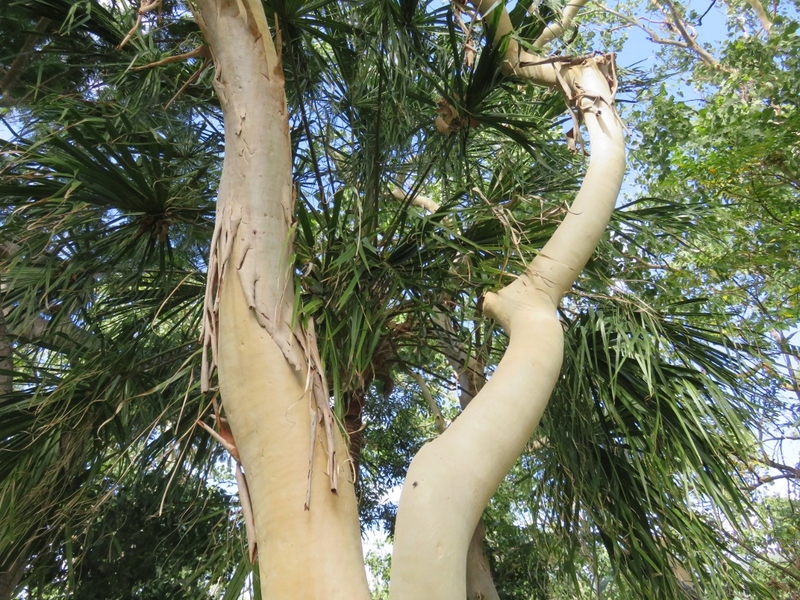 you have been a great Queensland guide for such a long time…back to the camel on the beach days! 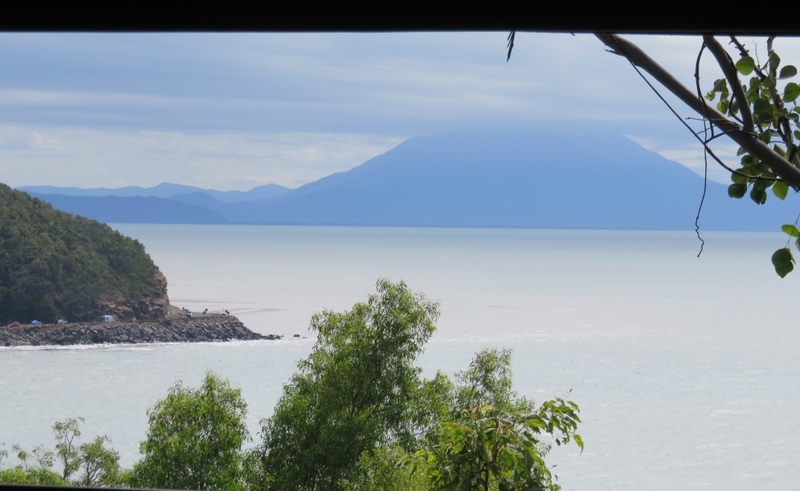 Yes your part of Queensland is the best kept secret…almost! What a magical place, you are so fortunate to have been there. Yes it was special & I imagine quite costly to stay there .. But coffee was lovely! I love the story of the naked greased white man! As for the Lodge, well … it looks spectacular. I agree about the naked greased white man! Wonder what became of him! What a stop. Everything about it is gorgeous especially the beach area. Love the history too including animal and human stories. Nice photo too. 🙂 Just watched the world news – stay safe. Thanks Judy, world news is always stressful these days. Hope your eye problem is improving…so much gardening to be done! 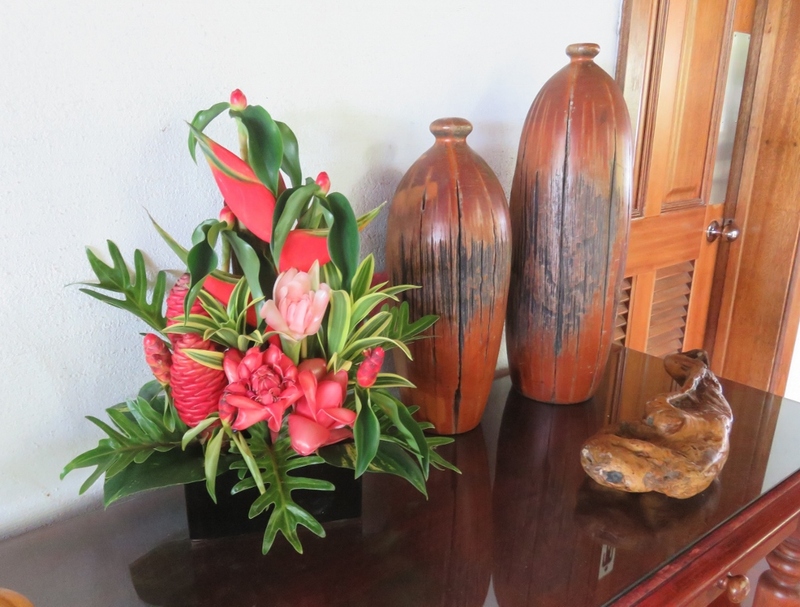 Thanks Ruth, back in cold Canberra now..
That vase of flowers is both beautiful and exotic – a reinterpretation of a bunch of roses or tulips. Nothing at all that I recognise there. Maybe Heliconia? Heliconia are very common in this part of the world. 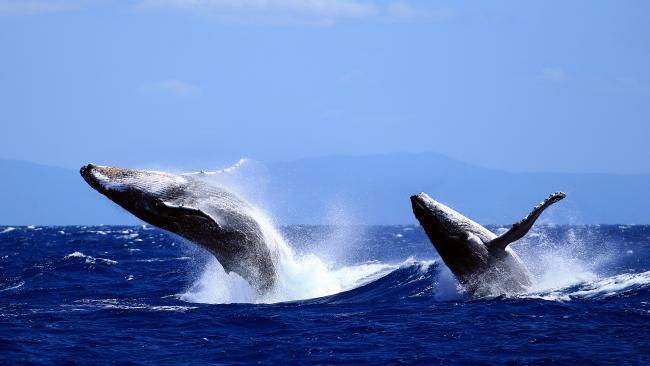 The size of a whale is just amazing … I would love to see them close up … They are unique! Those views of the sea and the mountains look absolutely magical.And what a marvelous lodge. One of these days I have to get to Australia! We’d love to stay in that Lodge too … a bloggers convention at Thala Lodge would be something.. Yes Thala Lodge is a treat!